Hi Gerry, why do you think the current U.S. government seems to stay neutral as to the territorial dispute between Japan and Korea, despite the Rusk Documents and Ambassador MacArthur's telegraph (your latest post) that show the US's view on Liancourt Rocks? Hi, I've realized this post was by Kaneganese. Hi, Kaneganese, may I ask the question I posted above? 샌프란시스코에서 체결된 연합국의 대(對)일본평화조약에서 일본의 독도 침탈 로비는 결국실패했고, 독도는 한국영토로 확정되었으며, 일본 영역에서 제외되었습니다. Basically, I'm not reacting to any comments by "unknown", so log in with other ID next time, please. As for your question, in 1952, U.S. government tried to persuade ROK to stop Rhee Line, capture/detain of Japanese fishermen and vessels, and illegal occupation of Takeshima, but they had failed. They were unable to control President Rhee's anti-democratic brutality and hostility towards Japan, and I guess that is one of the reason they started to keep themselves from the dispute during the Cold War. Hi Kaneganese! Thanks for the post. I have just read the same telegram which opp-san let me know at another blog. ●While Rhee regime violated most basic tenets of democracy in authoritarian police rule imposed on Korean people, it has also in past done violence to most fundamental principles of international conduct and morality by committing acts of primacy on high seas around Rhee Line and then imprisioning (sic: imprisoning) and holding as political hostages Japanese fishermen and by seizing and holding non-Korean territory by force. 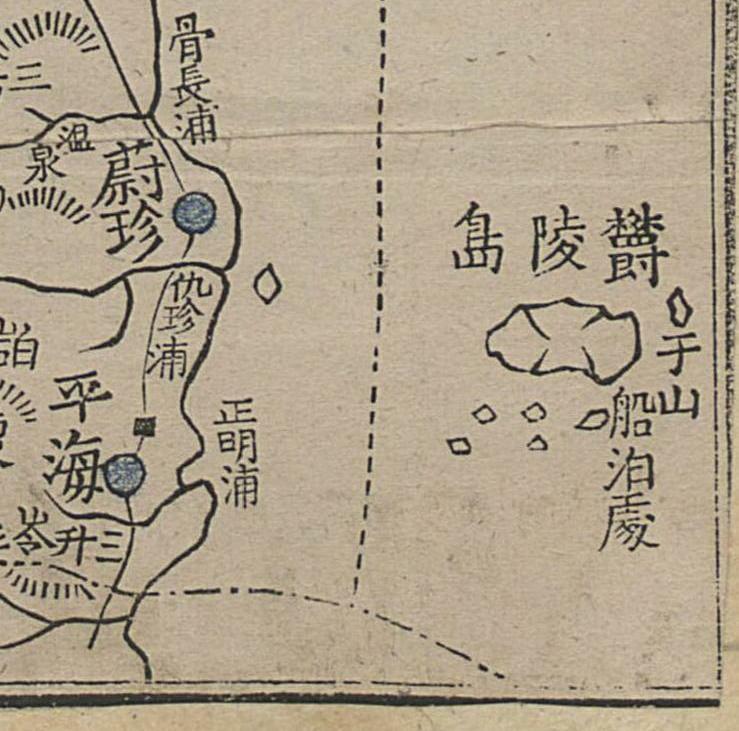 ●In addition to seizing Japanese boats on high seas and practicing hostage diplomacy, Rhee regime also seized by force and is holding illegally Takeshima Island which has always been considered as Japanese territory. 공해에서 일본 선박을 포획 해 적대시 정책을 실시하는 일에 가세하고, 이승만 정권은 지금까지 항상 일본령이라고 생각할 수 있어 온 타케시마를 무력에 의해 점령해 불법으로 보관 유지하고 있다. Yes, let's ask the U.S. whether Dokdo belongs to Korea or Japan. The U.S. is halfway around the world from Dokdo. Surely they would be familiar with the history of Dokdo. Surely they would know to whom Dokdo belongs. >Yes, let's ask the U.S. whether Dokdo belongs to Korea or Japan. If U.S. changed the positon of SF treaty and she reconsidered that the sovereignty of Takeshima should give to Korea. U.S. must appeal to ICJ according to the S.F. treaty. Since the U.S. has not appealed to ICJ, her position of SF does not change according to the international law. This is a very interesting telegram. Thanks for posting it, Kaneganese; thanks for finding it, Opp; and thanks for allowing us to post it, Nikaidou. International Court of Justice for arbitration. >What are you talking about?? 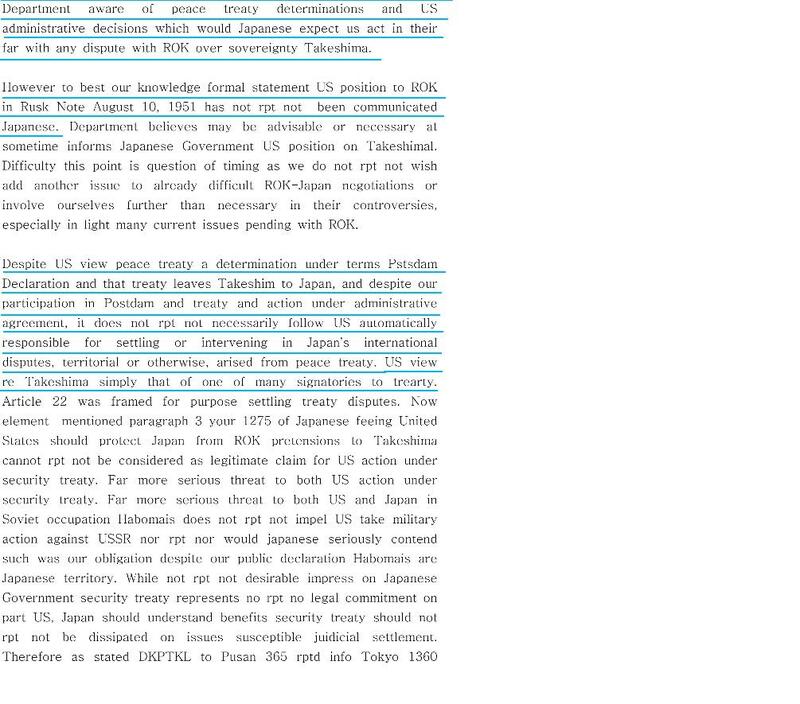 Present U.S. opinion without appealed to ICJ is not concerned with the sovereignty of the Takeshima. Since Japan was a party to the treaty, she should be able to go to the ICJ unilaterally and ask for an interpretation of Article 2a of the treaty. Isn't that what Article 22 is saying? Yes. Japan can sue United States for the reconfirm about the Article 2a and demand re-instatement. By SF treaty, the United States has agreed to recover Japanese full sovereignty of the Takeshima. But some Korean scholar claimed that the SF treaty is invalid for U.S.'s mistakes and U.S. changed her mind as Korean territory after S.F. treaty. Article 22 demand the sue for the dispute concerning execution of the Treaty too. 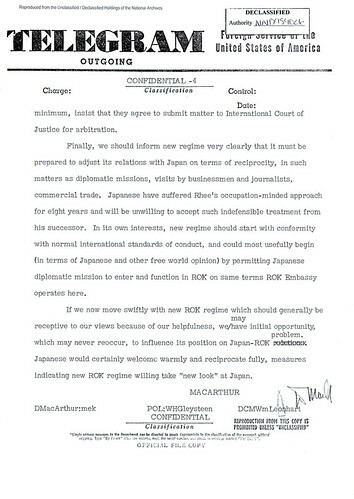 If U.S. change her position against the treaty, the dispute between Japan should occur and she must go to ICJ. This shows that U.S can't change her position about SF treaty without ICJ. Now that Japan has the Dean Rusk letter and other US documents acknowledging that the treaty left Takeshima as Japanese territory, Japan could probably win such a claim against the United States. Do you think Japan will do it? I dont know why Korea is like this. There is a lot of evidence but they seem to ignore it. That is what we called Immature. I want to do so, but Japan will not do. Because, Japan knows that the United States disinclination to involve in dispute between alliance partner. United States acceptance of the fact means criticizing Korean claim. I consider it more effective to commit the interpretation of "Agreement Between Japan and the Republic of Korea Concerning the Settlement of Problems in Regard to Property and Claims and Economic Cooperation" about Ianfu (comfort woman) together with dispute about Takeshima. If Korea can't escape from this proposal. It looks like Douglas MacArthur II's personal opinion. Isn't it sort of natural for him to support Japanese government's claim as an US ambassador to Japan? The real nature of American policy on Dokdo is America never openly supported Japanese claim on Dokdo as stated in the following documents. Details is here and here. Isn't it time for the Japanese to stop blindly believing Takeshima was given to Japan according to the SF Treaty because of American support through Rusk Note? >Isn't it time for the Japanese to stop blindly believing Takeshima was given to Japan according to the SF Treaty because of American support through Rusk Note? The opinion after the treaty cannot be used for the interpretation of a treaty without agreement between parties. Do you aware that present U.S. say about the "dispute" is neutral, but she never say that S.F. treaty is neutral? She can't change the interruption of the treaty for the estoppel. The agreement is not required about the preparatory work of the treaty before the treaty. Then Rusk document is effective as the supplementary means of interpretation. There is only one agreement applicable to the 31 article 3 clause (a). USA and Japan agreeeded to use the Takeshima as bombing place based on a security treaty in 1953. This agreement has taken the form of the formal treaty. A part of your logic is correct. This text is also invalid for the interpretation of the SF treaty. Because this document has not reached an agreement of the parties though this document made after the treaty. Even the inside of the Department of State has not taken agreement(stamped as "DRAFT"). I can't understand your point. Would you please make it clear? Which article is applied to a present U.S. policy? 32 articles are applied to the rusk document. International law doesn't demand the open for the supplementary means. Korean scholar looks like prof. Hosaka make original rule which violates the international law for Korean claim. Poor Korean people who can't verify the truth believes the fabricated rule. 32 articles are applied to the rusk document. International law doesn't demand the open for the supplementary means. --> What's the evidence? The article of SF Treaty doesn't say secret supplementary means is ok.
Korean scholar looks like prof. Hosaka make original rule which violates the international law for Korean claim. Sloww:What's the evidence? The article of SF Treaty doesn't say secret supplementary means is ok.
Can’t you read article 32? Do you see the ilusion that article32 discibes as the supplementary means should be opened? Sorry article32 has not set up any conditions for the preparatory work. 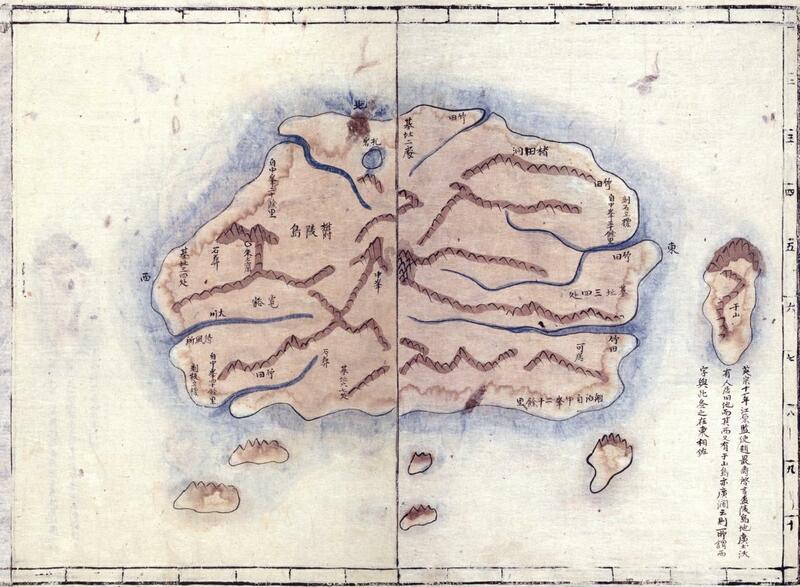 And read the金明基’s research paper at 独島研究ジャーナル in 2009. He admited Rusk note as a supplementary means based on 32 articles. Though he was using another fabricated logic, in order to deny the Rusk note. I understand that you can’t answer. US present policy can’t use for the intepritation of the SF treaty. Of course, US present position can’t use for the disaffirmance of SF treaty. And USA didn’t say that SF treaty is nutral about Takeshima. She never mentions about the treaty and has no right about the Japanese sovereignty. Go ahead with your ridiculous belief that a secret document such as Rusk Note which was never open to the parties involved is a supplementary means in the treaties. Who cares? Anyway, you admitted Rusk Note was a secret document. By the way, don't blame Prof. Hosaka without evidence. Thank you for the Korean translation. Thank you for your transcription of the full telegram. I've added it to the post. Sloww: By the way, don't blame Prof. Hosaka without evidence. Prof. Hosaka never show evidences based on the international law. He said that Rusk note is invalid because it wasn't opened or hasn't agreement. But he can't explain why it should be opened or agreed by Allies. Then he only says that Rusk note is invalid because he want to think so. And poor Korean who don't have the ability of the verification like you believe Hosaka's essay. USA is important for the interpretation of the SF treaty because she is the drafter of the treaty as Allies. Japan give the right of the decision-making about her territory by the acceptance of Potsdam Declaration. Then Allies can demand renunciation Japan. However, the Allies has already exercised the right by the SF treaty. Then, after the SF treaty, US doesn't have any right. Think logically and read the treaties between Japan and Allies very well. All treaties and agreements consistent. Most of ambassadors in a country would be apt to say affirmative opinions to the country naturally, so I read this in the context. He was the old hero in the exiled government in Shanghai during WWII .He was a very tough negotiator both to Japan and US, he was the half successor of Joseon Dynasty, had wanted to be the dictator for life of Korea. He was a strong anti-communist, he had killed the political enemy not only Jo Bongam, he had caused the “Jeju massacre”, more than 60 million people were estimated to be killed. He insisted the unification of North Korea by military force of US, then had ran very fast when North Korea had occupied Seoul, then had once insisted he would make exiled government in Fukuoka if North Korea had occupied even Fuzan. Then, at last he had exiled to Hawaii, and had died there. He had made Syngman Rhee Line, also made Dokto in Korean territory as established facts , so maybe he was the hero of independent Korea totally, though I am not sure about his historical estimation now in Korea or if Korean knew these historical facts. Anyway what a strong and strange leader Korean had in this historical critical situation! You didn't give evidence why Prof. Hosaks is wrong. You just gave your own thinking, which is very illogical. He doesn't need to explain why Rusk Note should be opened and agreed by Allied Powers to be reflected in drafts of treaty. It's common sense everybody knows. Can you explain why Rusk Note shouldn't be opened or agreed by Allied Powers? SF Treaty was between Japan and Allied Powers, not between US and Japan. US was just one of the Allied Powers. John Foster Dulles, the US Secretary of State, wrote "US view re Takeshima simply that of one of many signatories to treaty." Sloww:You didn't give evidence why Prof. Hosaks is wrong. You just gave your own thinking, which is very illogical. Can’t you read the article 31 and 32 of “Vienna Convention on the Law of Treaties”? Rusk document abides by the article 32. If you don’t think so, show the terms of the article 32 which deny Rusk document. "US view re Takeshima simply that of one of many signatories to treaty." Then, show the terms of the article 31 and 32 which can apply to this comment. You can't answer. Hosaka can't answer too, because his standard is not the international law but his own desire and rule. Which is real Hosaka or the multilateral treaty? Since the United States was the drafter of SF treaty, Rusk document has big value. The status of signatory does not affect a treaty interpretation (See article 31 and 32). 한국에서 새로운 민주주의 정권이 탄생할 전망입니다. 나는 최대한 빨리 이 것은 한일논쟁의 영속적해결을 시도하는 기회라 본다고 강하게 진언합니다. 이승만이 권력을 장악하고 있는 한 해결의 기회는 거의 없는 것처럼 보여왔습니다만, 지금 우리들은 한일 논쟁을 완전히 해결로 이끌 수 있는 새로운 상황에 있습니다. 한일이 계속 논쟁을 하는 관계는 단순히 두 국가간의 문제에 그치지 않고, 미국 및 동북아에서의 우리들이 피할 수 없는 책무가 깊이 직접적으로 이어지고 있는 것입니다. 현실 문제로서 합리적인 해결책을 찾아낼 수 있다면 그것은 우리나라의 우수한 정부부문이 제작하고 일본정부 및 한국과 밀접하게 협력하고 작업하는 것 외에는 없을 것입니다. 제일 중요한 것은 이 수렁 분쟁이 기본적인 해결로 향하는 것을 가로막는 일본・한국간의 개별 문제를 특정하고, 우리들이 그 해결을 위해 빨리 움직이도록 준비하는 것입니다. 우리들은 공산주의자들이 한국 신정권에게 어떤 행동을 일으킬지는 예측할 수 없습니다. 빨리 한일관계를 정상적인 상태로 돌리는 일이 시급합니다. 이승만 정권은 자국민에 대한 경찰국가적 독재통치로 인해 민주주의의 가장 근본적인 이념을 파기한 한편, 과거에 국제사회에서 취해야 할 제일 기본적인 행동 규범이나 도덕도 짓밟고 있습니다. 이승만라인(평화선) 주변의 공해상에서 해적행위를 일삼아서 일본 어민을 잡고 투고하고, 정치적인 인질로서 구속하고, 무력으로 타국의 영토를 강탈하고 점거하고 있습니다. 이 인질외교라는 만행은 공산주의 중국에 대한 우리들의 강한 비난중 하나입니다. 만약 앞으로도 한국이 인질외교를 지속한다면 그것은 한국에 새롭게 탄생하는 민주주의적 정권에 큰 빚이 될 것입니다. 그러므로 나는 다음과 같이 강하게 진언합니다. 한국에서의 신정권 (그것이 잠정적인지 여부에 관계없이)이 성립하면 즉시 우리들은 모든 영향력을 행사해서 다음 두 항목의 실행을 한국에게 강요해야 합니다. (1) 인질로 잡힌 모든 일본인어부(판결미확정인 자도 포함)를 즉시 석방하고, 일본에 송환시킬 것. 이승만의 야만적이고 잔혹한 처사로 그들은 견딜 수 없는 고통을 받고 있다. (2) 공해상에서의 일본어선 나포를 중지할 것. 이것은 한국 신정권에 인질외교의 실행이란 책임을 떠넘기지 않고 끝날 뿐만 아니라, 무엇보다도 진정한 결실있는 교섭을 위한 기반을 일본에게 구축할 수 있을 것입니다. 동시에 나는 해안내각에게 모든 어민의 귀환의 상환으로 양쪽이 합의 가능한 한일어업협정의 체결교섭을 위한 타당한 기회가 찾아올 때 까지는 조선해협에서의 어업활동을 자제하도록 최대한 압력을 가할 준비가 되어 있습니다. 이승만정권은 공해상에서의 일본배 나포와 인질외교 실행에 가담해, 지금까지 항상 일본땅으로 생각해왔던 독도를 무력으로 빼았고, 불법으로 점거하고 있습니다. 이 것은 한일관계로서 비상식적으로 심각하고 끝 없는 분쟁의 불씨입니다. 이 일본 섬이 일본에 반환될 때 까지는 한일의 포괄적인 화해는 있을 수 없습니다. 따라서 우리들은 한국의 신정권에 대해서도 독도를 일본에게 반환하도록 압력을 가해야 합니다. 만약 포괄적인 한일교섭에 만족할 결론이 나오지 않은 채 독도를 반환할 의사가 없다고 말한다면, 신정권은 적어도 두 국가간의 그 외의 미해결 논점을 양쪽이 납득하고 해결하기 위한 일환으로 독도를 떠날 의사가 있다는 것을 보여줘야합니다. 우리들은 일본으로 독도를 반환하도록 강력하게 압력을 가해야 하지만, 만일 신정권이 그 의사가 없을 경우, 최소한 국제사법재판소로의 제소에 응하도록 계속 설득을 해야 합니다. 마지막으로 우리들은 신정권에 대해 외교사절, 실업가와 언론인의 왕래, 상거래등의 사항에서의 호혜라는 관점으로 일본과의 관계를 조정하는 태세를 갖추어야 한다는 것을 명확히 알려야 합니다. 일본인은 이승만의 침략적인 수법으로 8년간 계속 고통을 격고 있습니다. 이 변명의 여지가 없는 처사를 후임자도 감수할하지 않을 것입니다. 신정권은 우선, 정상적인 국제적 행동범위에 따라 시작해야 합니다. 그것이 한국자신의 이익이 되는 것입니다. 일본의 외교사절이 입국해서 재일한국대사관과 같은 기능을 가질 것(일본이나 다른 자유주의제국과의 사고방식과 같은 의미로서)을 인정해야 합니다. 지금 우리들이 한국의 신정권에 대해 신속히 제의하면 우리들이 한일문제에 대해 신정권의 입장에 영향을 줄 처음으로서 마지막의 기회를 얻는 것이 될 것입니다. 한국의 신정권은 우리나라의 원조를 받는 이상 우리들의 의견에 대략 동의하는 것입니다. 일본인은 틀림없이 이 제안을 한국 신정권이 일본에게 “뉴 룩 정책”을 진행할지 여부를 묻는 척도로서 따듯하게 환영하고 충분한 호혜적입장을 취할 것입니다. I wonder what the source of Mr. Nozomu Yoshida said..."Thinking about Sngman Rhee…. "is, but it doesn't matter. There are lots of distorted documents about Korea in Japan. There is wrong information for sure. He was not a hero during WWII. He was an independence activist against brutal Imperial Japanese colonial rule in Korea which started in 1910. He did a lot of things to fight against Imperial Japan. That's why he was tough on Japan even after the Korean liberation from Imperial Japan. One of his achievements as the first Korean president is proclamation of Peace Line(Syngman Rhee Line). He took an affirmative action on South Korea's party by issuing "the Declaration of Maritime Sovereignty". He punished the Japanese trespassers to Dokdo who violated the Peace Line. He did what he should do to defend the Korean sovereignty on Dokdo. 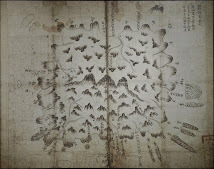 I would like to you about the 10 reasons why Dokdo islet (Takeshima) assert as "The Dokdo Rock Islets is Korea's territory. I hope to click on the annexed document file. 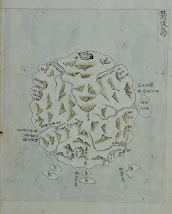 And then you will find the detailed contents about " The 10 reasons why Dokdo islet (Takeshima) assert as "The Dokdo Rock Islets is Korea's territory." Have a good luck ! today" You say that many Japanese know that most Koreans cannot read the San Francisco Peace Treaty correctly. You had added a good example of it through your comment above. but they assert Dokdo to be a Japan's territory with only "The notification 40 of the Shimane Prefecture of Japan on Feb. 22nd., 1905." But 5 years ago before being issuing "The notification 40 of the Shimane Prefecture of Japan on Feb. 22nd., 1905. " 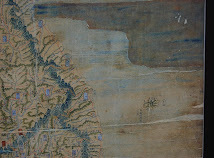 The imperial edict 41 of the Korean Empire and Dokdo (Takeshima) on 1900 had been issued.In 1900 (in 37th year of the emperor Ko-Jong), the Korean Empire had promulgated the Korean Empire edict 41 in an official gazette of the Korean Empire with the purpose of administering and ruling suitably Ulleungdo and Seokdo (or Dokdo in Korea and Takeshima in Japan). 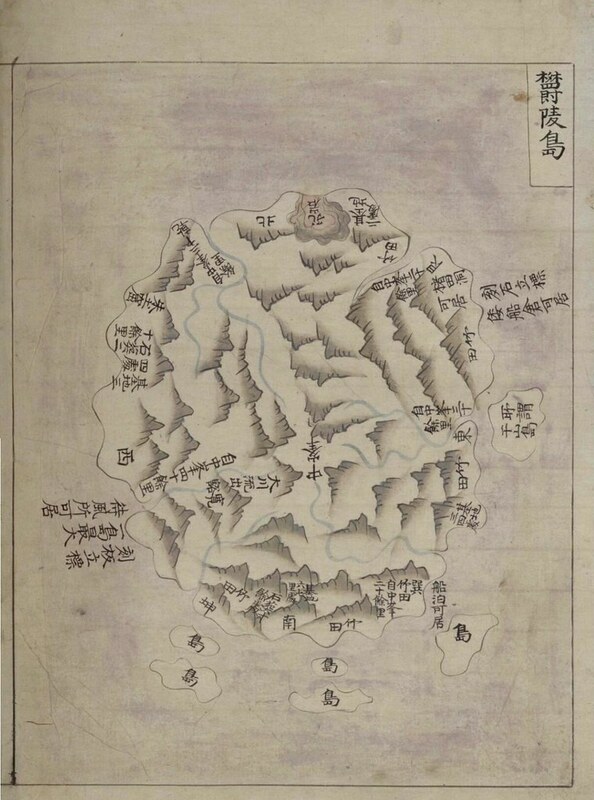 Therefore Dokdo is korea's territory, because the Korean Empire edict 41 in an official gazette of the Korean Empire first of all had been issued as Korean territory in 1900 than "The notification 40 of the Shimane Prefecture of Japan on Feb. 22nd., 1905." The assertion of Japanese people is wrong. 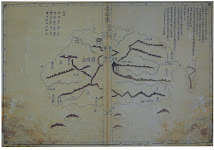 In 1900, under the reign of Emperor Kojong, the Great Han Empire of Korea issued the Korean Imperial Edict No. 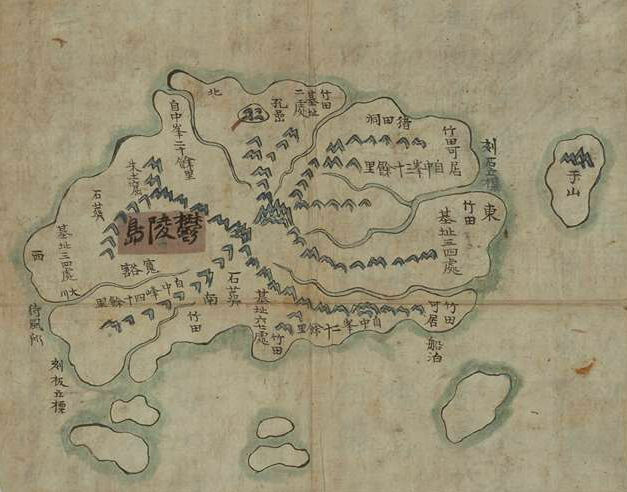 41, placing then-Seokdo (Dokdo) under the jurisdiction of Uldo-gun (Ulleungdo). 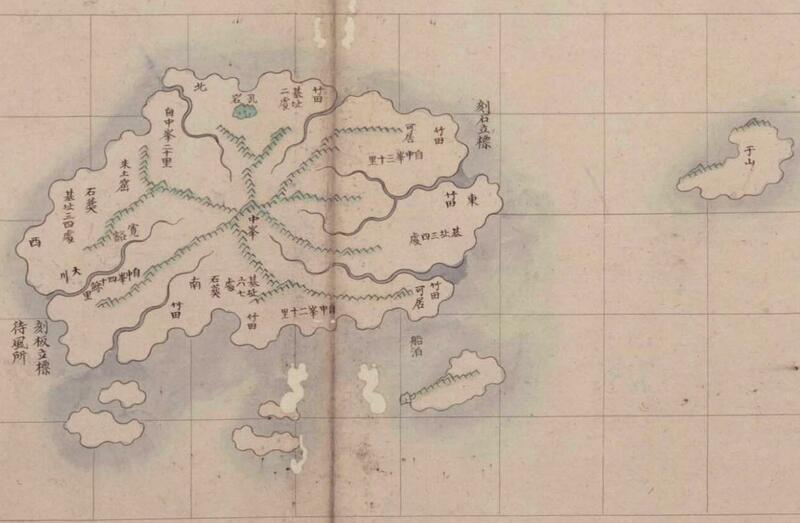 In 1906, Sim Heung-taek, Uldo-gun County Chief, was notified that the eastern islands of Korea had been incorporated into Japan by a survey team from Japan's Shimane Prefecture. Sim right after submitted a report to the Governor of the Gangwon-do (province) in ways to counter the ridiculous and self-contradictory act. In 1900 (in 37th year of the emperor Ko-Jong), the Korean Empire had promulgated the Korean Empire edict 41 in an official gazette of the Korean Empire with the purpose of administering and ruling suitably Ulleungdo and Seokdo (or Dokdo in Korea and Takeshima in Japan). 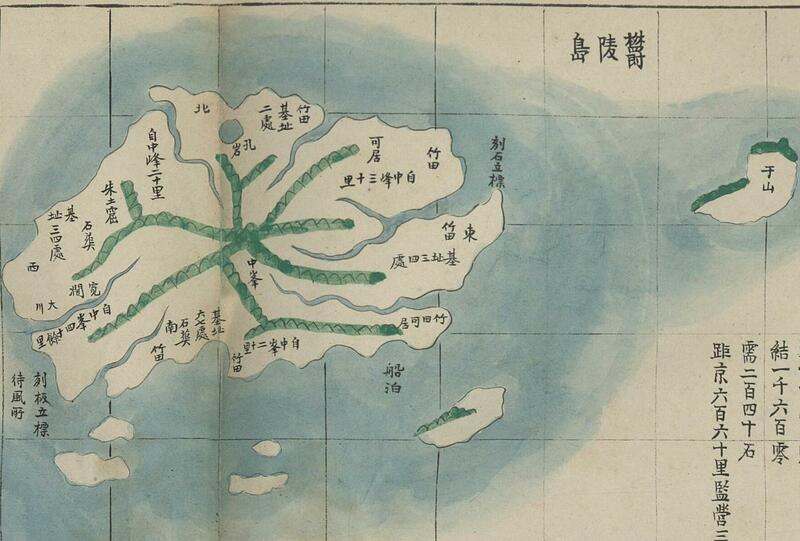 The Korean imperial edict 41 in an official gazette of the Korean Empire had issued as "The Korean Empire in 1900(in 37th year of the emperor Ko-Jong) rename Ulleungdo island together with Seokdo islet (Dokdo islets) and Jukdo islet(竹島) as Uldo county“, and then had specified, as "designate the sphere of it's jurisdiction as the whole Ulleungdo island and both Jukdo(竹島) islet and Seokdo islet(石島)." 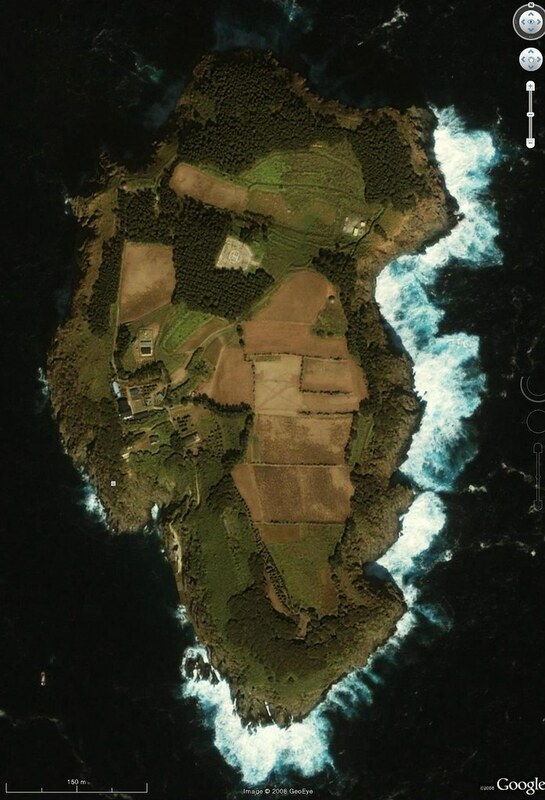 Footnote: Originally Liancourt Rock, or Seokdo islet(石島) was called as "Seokdo islet(石島)" in 1900s, but People of Cheollado who had emigrated from Cheollado in Korea to "Seokdo islet(石島)" had pronounced and called so "Seokdo islet(石島)" as "Dokseom(獨섬) in dialect of Cheollado, that is to say, 獨島(독도) in Chinese characters). Japan in Meiji era had disseized illegally Dokdo (Takeshima) by force of arms and bayonets with the purpose of constructing a military base of the great Japanese Empire shortly after Russia- Japan war. That is to say, the then government office of Shimane prefecture had promulgated Shimane Prefecture notification No. 40 in Feb. 1905 according to the enacted ordinance of Shimane prefecture of Japan, called as "Takeshima(竹島) was annexed to Shimaneken. On the basis of this fact, today, the Ministry of Foreign Affairs of Japan has asserted Dokdo (takeshima) as "Japan's territory". Truly truly if this Dokdo islet (Takeshima) had been a inherent territory of Japan, Intentionally has Japan been necessary to promulgate Shimane prefecture notification No. 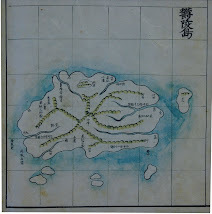 40 that is called as "Takeshima(竹島) was annexed to Shimanek prefecture of Japan." in Feb. 1905? This Shimane prefecture notification No. 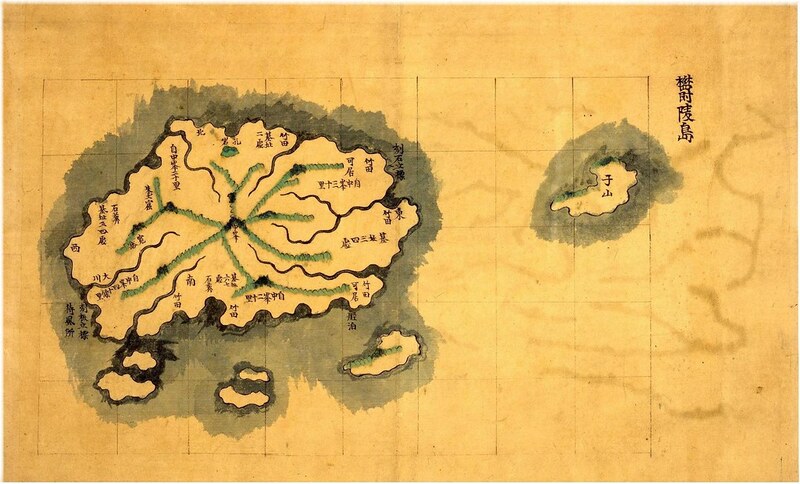 40, that is to say, is only a official forcible document that had disproved the fact that Japan in Meiji era had plundered Dokdo (Takeshima) from the great Korean Empire by force of arms and bayonets. 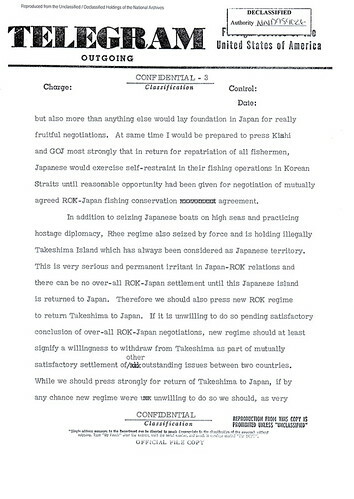 In the drafts of the Sanfrancisco peace treaty of the first, second, third, fourth, fifth preliminary talk, Dokdo (Takeshima) is clearly inscribed as "Korean territory" as “Japan hereby renounces all rights and titles to Korea and all minor offshore Korean islands, including Quelpart Island, Port Hamilton, Dagelet Island (Utsuryo) Island and Liancourt Rocks (Takeshima).” In spite of that, before concluding completely the Sanfrancisco peace treaty I know that Syngman Rhee Government had received reply of dean Rusk Note. That is why after talking in secret meeting between the United States and Japan. Liancourt Rocks (Takeshima) was completely excluded from the Sanfrancisco peace treaty such as "Chapter II. 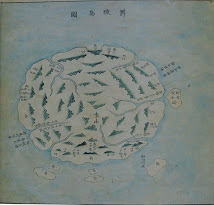 Territory - Article 2 (a) Japan recognizing the independence of Korea, renounces all right, title and claim to Korea, including the islands of Quelpart, Port Hamilton and Dagelet." I did not said as " The United States care about American secret and selfish policy over Dokdo based on American interests. SCAPIN 1033(MEMORANDUM FOR IMPERIAL JAPANESE GOVERNMENT says that 3. Authorization in paragraph 2 above is subject to the following provisions : (a) Japanese vessels will not approach closer than twelve (12) miles to any island within the authorized area which lies south of 30°North Latitude with the exception of Sofu Gan. Personnel from such vessels will not land on islands lying south of 30°North Latitude, except Sofu Gan. nor have contact with any inhabitants thereof. 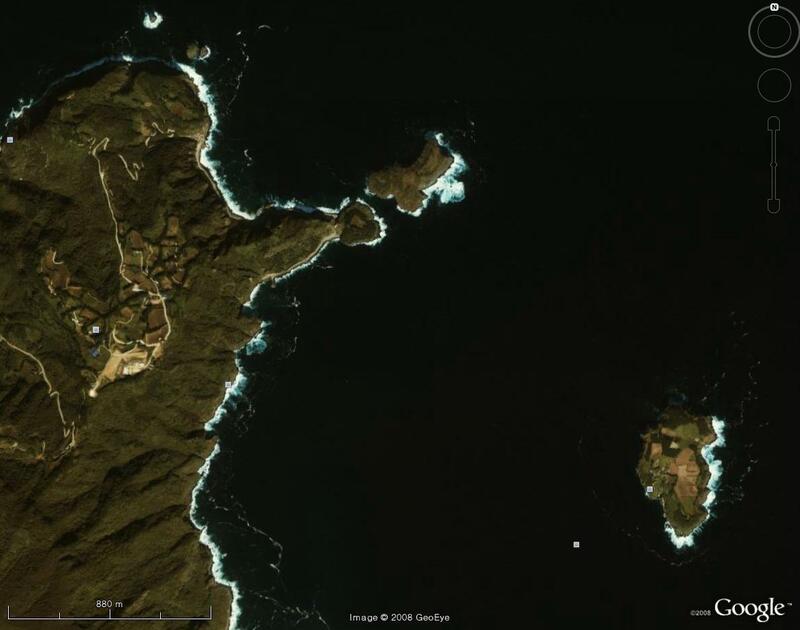 Shortly after a secret meeting between the U. S. and Japan, Dokdo islet that in a draft for San Francisco Peace Dokdo was included, but in the final San Francisco peace treaty, Dokdo islet was deleted as a Korean territory. 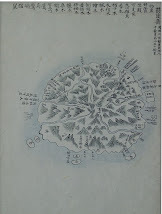 In a draft for the San Francisco peace treaty that was written on March 19th., 1947, Dokdo islet was included : Japan hereby renounces all rights and titles to Korea and all minor offshore Korean islands, including Quelpart Island, Port Hamilton, Dagelet Island (Utsuryo) Island and Liancourt Rocks (Takeshima). But in the final San Francisco Peace Treaty that was issued on September 8th., 1951, Dokdo was deleted Chapter II. 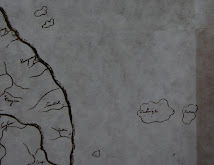 Territory - Article 2 (a) Japan recognizing the independence of Korea, renounces all right, title and claim to Korea, including the islands of Quelpart, Port Hamilton and Dagelet. The reason why Dokdo was deleted from the final San Francisco Peace Treaty was because Dean Rusk Note was a secret information document. Because I believe Dean Rusk Note was already publicized after the time of 61 years have passed. I don't grasp why Dean Rusk Note was forced to be a secret information document. 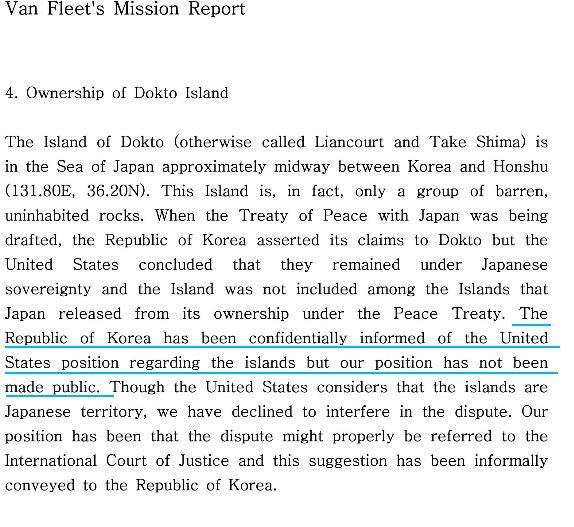 I am sure that the reason why Dokdo islet was deleted from the final San Francisco Peace Treaty is because Dean Rusk supported Takeshima as a Japan's territory. How about my opinion? 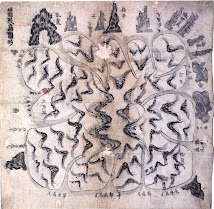 Why didn't America officially support Japanese claim over Dokdo? he reason is because Dean Rusk Note was a Secret information that America recognize or support Dokdo islet as a Japan's territory after a secret meeting. 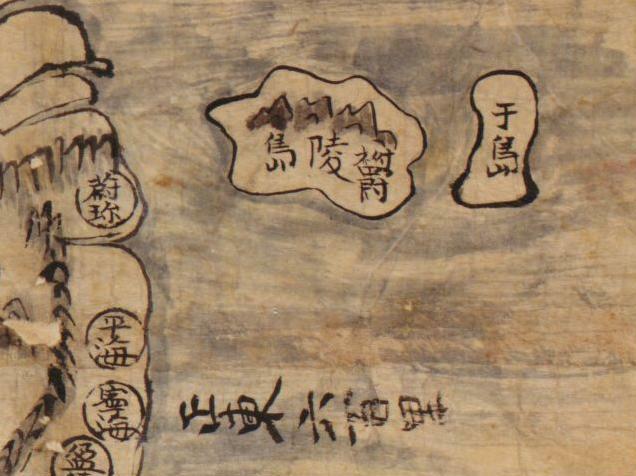 Why didn't America let Japan know she supported Japanese claim over Dokdo through Rusk Note? The reason is the same as the above mentions. 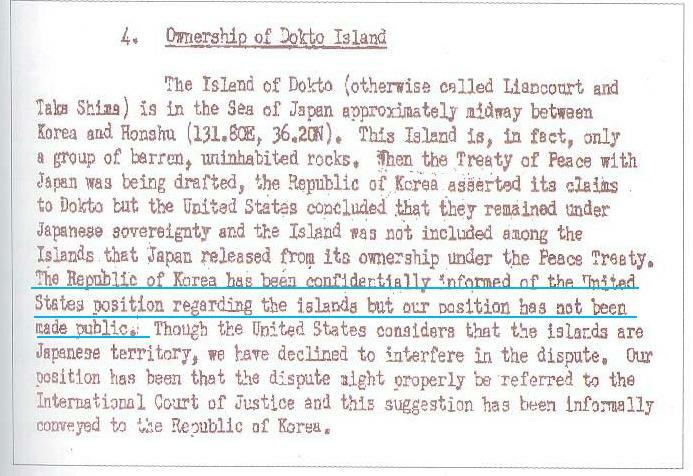 Why didn't America let the Allied Powers know she supported Japanese claim over Dokdo by making it public? Why didn't America let the SF Peace Treaty final draft stipulate Dokdo as Japanese land if she truly supported Japan's claim over Dokdo? The reason is because Dean Rusk Note was a Secret information that America recognize or support Dokdo islet as a Japan's territory after a secret meeting. Has Dokdo formally left to Japan by San Francisco Peace Treaty? Who said so?" I didn't say such a words. 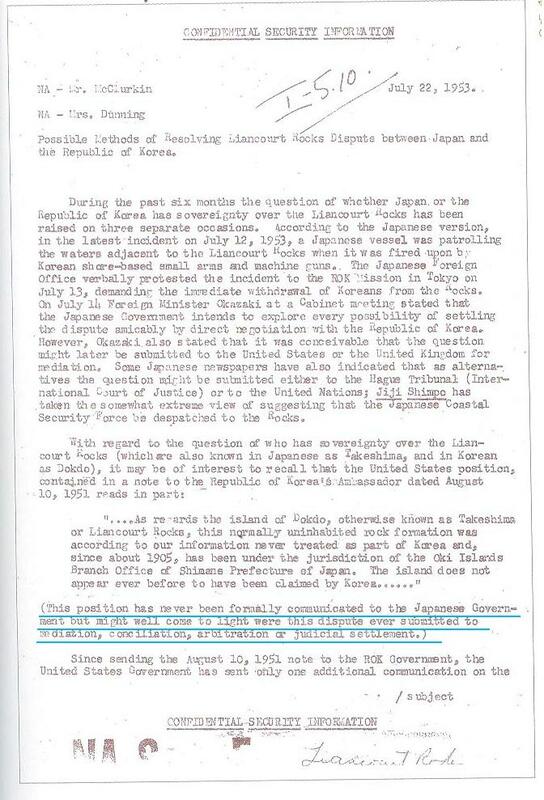 You can find a imagedocument of Dean Rusk Note herein http:// whathappenedtodokdo.blogspot.kr/2012/09/rusk-note-was-confidential-memorandum_6.html. I hope to open the homepage of rusk-note-was-confidential-memorandum that decribe as follows " 2012년 9월 6일 목요일Rusk Note was a confidential memorandum between America and Korea. The Japanese believe the Sanfrancisco Peace Treaty gave them Dokdo because of Rusk Note. 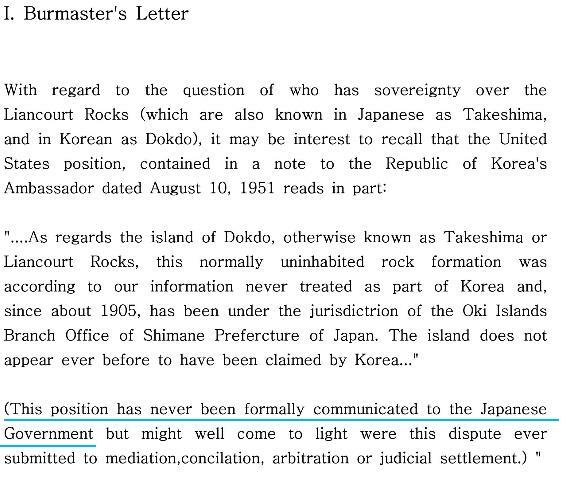 Rusk Note is nothing but a US secret position regarding Dokdo in favor of Japan's claim during the peace treaty negotiations. 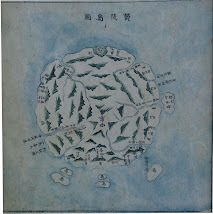 No matter what the reasons were, Japanese government's lobbying or US strategic interests, it was true US strongly supported Japan's claim on Dokdo through the Rusk Note, but Rusk Note has a critical weakness for Japan to use as a strong base for claiming Dokdo was given to Japan in the SF PeaceTreaty. 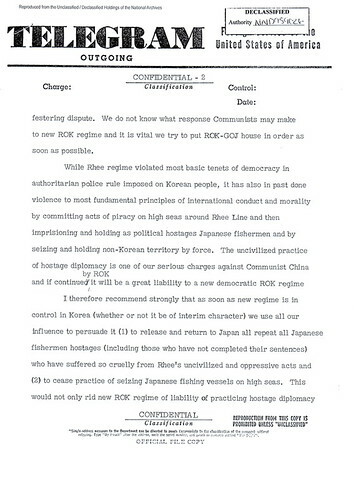 Rusk Note was a US confidential memorandum sent only to Korea. Peace Treaty is about the agreement between Japan and the Allied Powers, not between Japan and US. It wasn't delivered either to Japan or to the Allied Powers. which was never open to the public. 1. Even the US Embassy in Korea didn't know about Rusk Note. formally incorporated this territory into the metropolitan area of Japan and placed it administratively under the control of one of the Japanese prefectures. 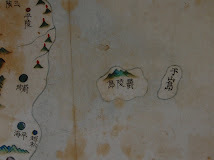 Therefore, when Japan agreed in Article Ⅱ of the peace treaty to renounce "all right, title and claim to Korea, including the islands of Quelpart, Port Hamilton and Dagelet", the drafters of the treaty did not include these islands with the area to be renounced. Japan has, and with reason, assumed that its sovereignty still extends over these islands. For obvious reasons, the Koreans have disputed this assumption." 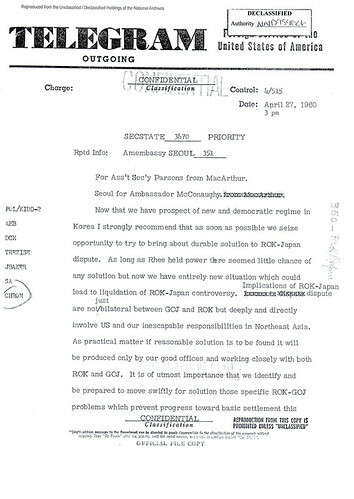 Telegram 3470 to the Department of State, April 27, 1960, file: 350 Korea, 1959-1961 Classified General Correspondence, Embassy Japan, RG 84, National Archives.